If your organization uses G Suite (Google Apps for business), follow these directions to establish an email address that anyone can use to send user feedback and requests straight to your Insights board. 2. 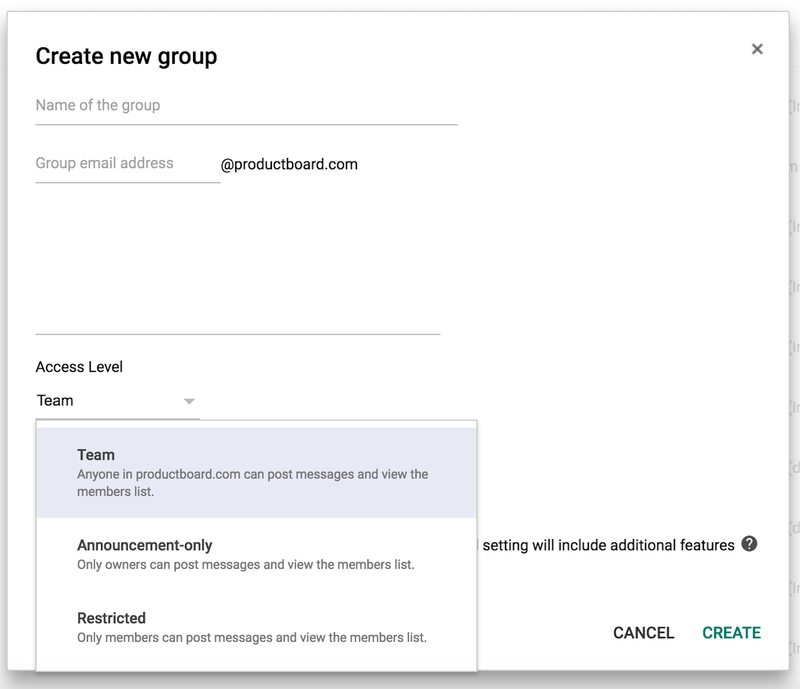 Select Groups: Create groups and mailing lists. 3. Use the [+] icon to add a new group. 4. 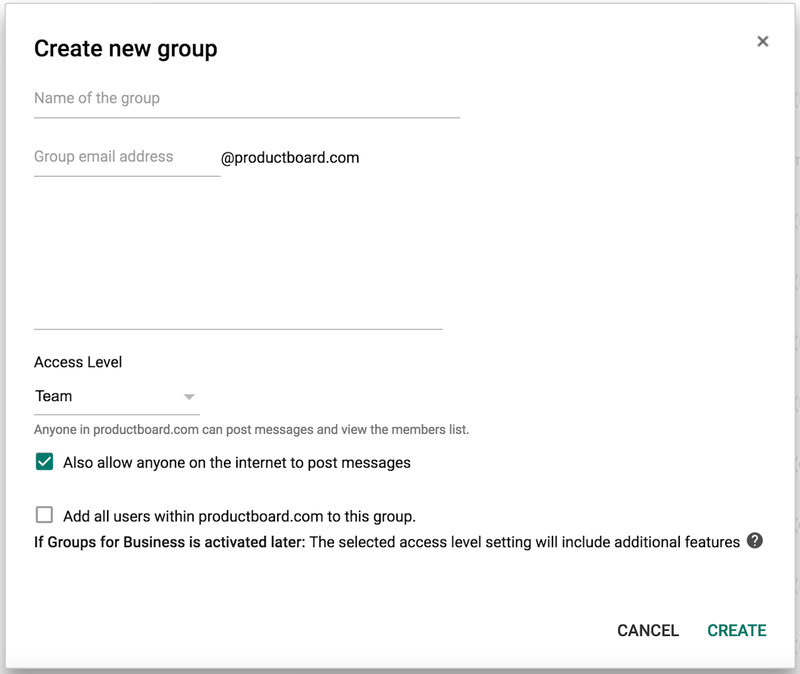 Configure your new group by choosing the address to which users will send their input (e.g. feedback@acme.com). Be sure to set Access Level to Team so your colleagues can submit input via this Google group. Select Also allow anyone on the internet to post messages if you'd like to allow users outside of your organization to be able to submit inputs straight to your Research board. 5. Navigate to your productboard integration settings page. Under Email, copy the unique email address for forwarding input onto your project's Research board. 7. Distribute your Google group email address (e.g. feedback@acme.com) to anyone you'd like to submit inputs. For more info on G Suite Google groups, see Google support.